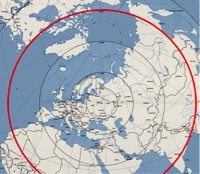 The INF Treaty (Intermediate-Range Nuclear Forces Treaty), signed in 1987 by the US and the Soviet Union, is one of the major events which led to the end of the Cold War, and became a milestone in the field of nuclear disarmament. Although the Treaty was a bilateral agreement, its guiding principles and provisions were preliminarily agreed upon by the US and its NATO allies within the framework an ad hoc Special Consultative Group. This process represented one of the most meaningful instances of transatlantic cooperation. This whole construction now risks collapse following the announcement by President Trump that the US would withdraw from this Treaty. The president did so, casually, in Nevada while speaking to reporters during the midterm electoral campaign (“we’re going to terminate the agreement, we’re going to pull out”). US National Security Adviser John Bolton went into more depth on this issue during his recent visit to Moscow and specified that no formal withdrawal steps had yet been taken. Because the US decision has not been formalized, it is worth examining the legal INF Treaty’s provisions regarding withdrawal, with the view to prevent such an unfortunate development. This language is identical to the language of art. 15 of the 1972 Anti-Ballistic Missile (ABM) Treaty from which the US withdrew in 2001. Such a dramatic decision was taken unilaterally at the time without the involvement of Congress. A federal court dismissed a suit by members of the House of Representatives challenging the constitutionality of the US decision. This precedent will presumably be followed by the Trump administration and in particular by Ambassador Bolton, who was one of the architects of the withdrawal from the Anti-Ballistic Treaty. The ABM and INF treaties’ language on withdrawal was inherited, with some adjustments, from the language of art. 10 of the Nuclear Non Proliferation Treaty (NPT) that was invoked by the DPRK (Democratic Popular Republic of Korea) to withdraw from the NPT in 2003. At the time the legitimacy of such a step by the DPRK was challenged by several western countries and in particular by the US that called the DPRK withdrawal a threat to international peace and security and invoked the intervention of the UN Security Council. Opponents to the US withdrawal today could invoke this precedent. In his statement in Moscow, Bolton added that the US would exit the treaty “in due course” which means that the US withdrawal can only become legally binding six months after a US notice which has not been given yet. Even after a formalization of such a notice it would still be possible to temporarily or indefinitely suspend such a decision. As long as the notice of withdrawal will not be given, we will not know the official reasons the US will invoke to justify the “extraordinary events” having jeopardized its supreme interests. In his Nevada announcement, President Trump alluded to the fact that “Russia has violated the agreement. They’ve been violating it for many years and I don’t know why President Obama didn’t negotiate or pull out.” If the US Administration will stick to the President’s words, Russia will certainly challenge such statement and respond, as it already did several times, that it is not Moscow but rather Washington that is violating the Treaty. Last month the Russian Federation already presented a draft resolution on the preservation of and compliance with the INF Treaty at the UN General Assembly First Committee. That initiative failed for procedural reasons, but Moscow will likely renew it at the UNGA plenary in December or in the Security Council. It is true that both the US and Russia could legitimately feel penalized by the fact that they are the only countries bound by the INF prohibition and that the chances that China, which has a much more limited nuclear arsenal, might join the treaty, are slim. However reciprocal accusations of violation are not the best way to entice countries to join the treaty. Moreover, with their enormous and diversified nuclear arsenals, neither Russia nor the US need to deploy new land based INF delivery means to assure their nuclear deterrence. Their survival is not at stake. 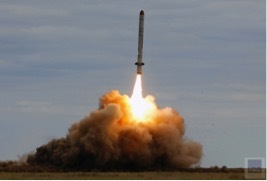 The cancellation of the INF Treaty would render Europe, as in the past, the territory of choice for the deployment of INF delivery means and the target – as Putin bluntly told Italian Prime Minister Conte – of the Russian nuclear missiles. European and US think tanks and the press are making tremendous efforts to prevent the cancellation of the Treaty. It is high time that Europeans put their act together at the political level and use all necessary means through the EU and within NATO and the UN to convince Washington not to jeopardise international peace and security. The European Parliament will now find in the US House of Representatives, with its new Democratic majority, a more responsive interlocutor. There is still a window of opportunity to try and dissuade the US, at all levels, from simply walking away from a Treaty that is a pillar of European Security. Stefano Borgiani – Executive Secretary of the Italian European Leadership Network. Regarding the technical information available on open sources it is so reduced that Western sources do not have pictures of the cruise missile and show just range estimates (source: Global Security.org). Russian source present images, but do not elaborate much. For technical details please see: Missile Defense Project, “SSC-8 (Novator 9M729),” Missile Threat, Center for Strategic and International Studies, published October 23, 2018, last modified October 23, 2018, https://missilethreat.csis.org/missile/ssc-8-novator-9m729/.